The Asian Marching Band Confederation (AMBC) tagged as the “Marching Arts Power of Asia” plans projects on promoting more of Asian culture through workshops for band director and judges to ensure continuity of growth in music education. AMBC has been doing numerous events for marching show band, street parade and Marching Music Battle for DrumLine, BrassLine, and Color Guard. These activities showed success on a lot of aspect of marching band and the confederation wanted to expand their range on their series of accomplishments. After sitting down on their annual board meeting during the World Guard Indoor Taiwan last July 13, 2018, AMBC together with its 22 members from 10 Asian countries came up to discuss further development of activities and education for its member countries. This new season, AMBC is proud to announce its newest indoor competition for percussion, color guard, and winds ensemble – the “Asia Marching Arts”. This newest venture of AMBC is focused and aimed to promote Asian cultural diversity. 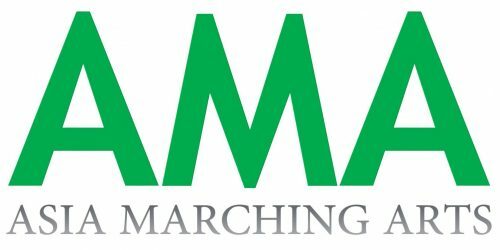 The “Asia Marching Arts” or will be soon dubbed as AMA. is an expansion believed to create exceptional opportunities to share musical culture on a world stage. A bigger step will also take stage as WGI “Sport of the Arts” continues its support on AMBC in handling competitions and activities that would best fit in the region. A bigger opportunity awaits everyone that will surely help and develop both vision and goals of the two organization. Since 2015, WGI is doing its regional events here in Asia – from Thailand to Malaysia, to Indonesia up to Japan, and just recently, the Philippines, AMBC partnered with WGI in promoting the “Sport of the Arts” that everyone highly supports. AMBC’s stronger partnership with WGI is a big factor for this remarkable development. The “Asia Marching Arts” or AMA. expects to kick off by last quarter of this year. AMBC is hopeful that this new beginning of a new direction will make the performing arts in Asia an unforgettable experience for everyone.